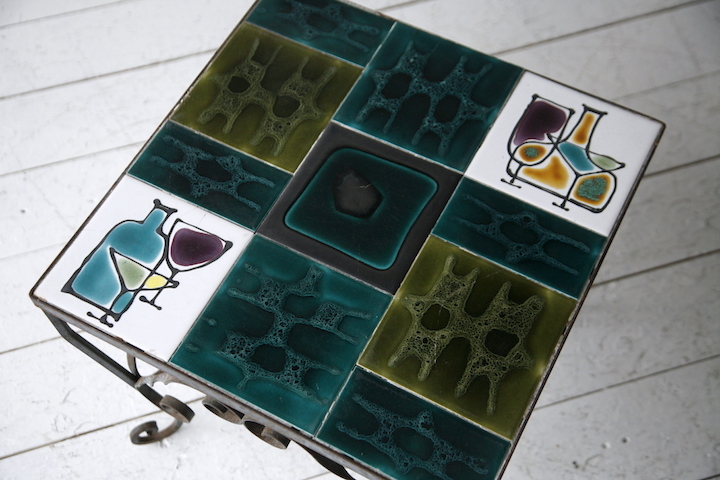 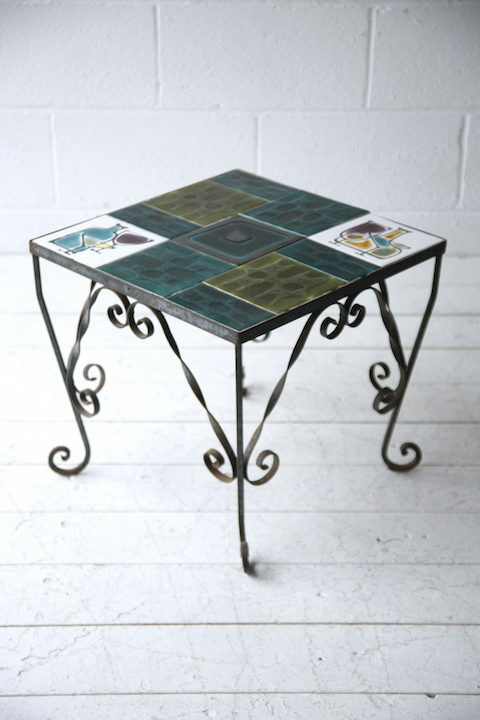 A 1950s tiled coffee table. 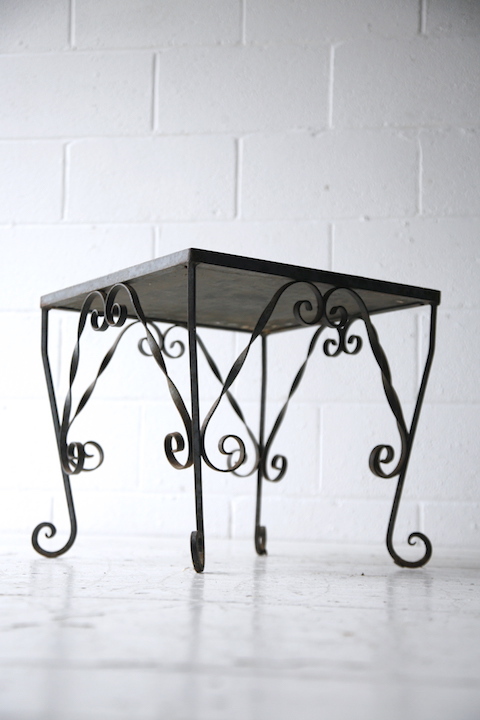 With decorative metal base. 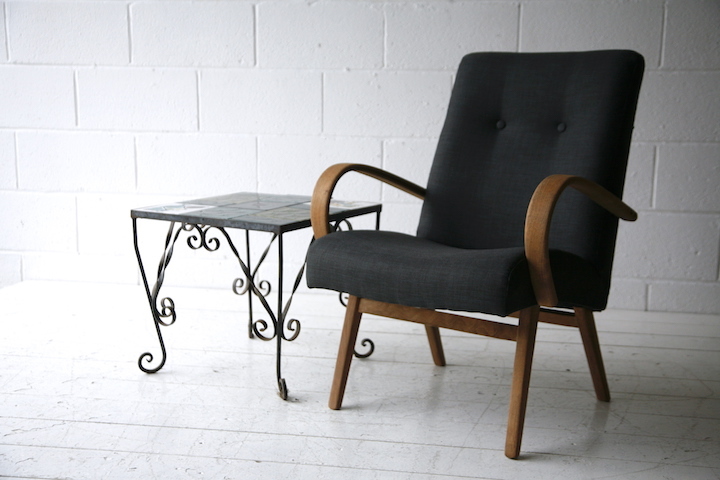 In good vintage condition with patina and age related wear.